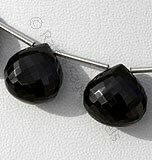 Black Tourmaline a Semi Precious Gemstone is a group of different minerals related in their physical and chemical properties such as aluminium, iron, magnesium, sodium, lithium and potassium which adds this gemstone in family of aluminum borosilicate. Depending upon the mixture of these metals it generates its color varying from black, brown, red, pink, yellow, green, blue or violet. 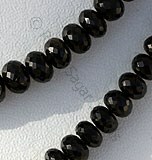 As far as the Black Tourmaline is concerned it is a member of Elbaite mineral also known as schorl and it possess property of opaque, dark shiny black color gemstone.The history of Black Tourmaline Gemstone dates back to ancient times when it was used by the then magicians to protect them from negative energies around them. But it does not mean that it could be only used by magicians rather it is considered as a beneficial gemstone to protect the user from negative energies revolving around their aura. 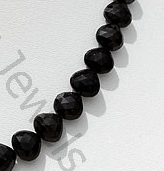 Due to the protection feature of the gem it is also referred as a Protection Stone. 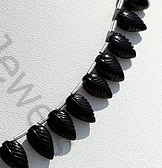 Apart from protecting the user from the impact of negative energies this stone also boosts the self confidence in the wearer and makes him more clear about his objectives. 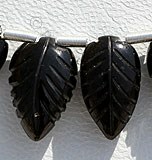 Black Tourmaline gemstone is available in various shapes like heart briolette, faceted rondelle, carved leaf, tear drops briolette, chandelier briolette used in making pendant, bracelets, earrings and many more. It is beneficial to use this gemstone at the places which are scaring and where the person is scared to go. It also helps in controlling the fear of visiting doctors. 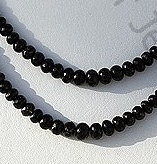 Black Tourmaline Gemstone is a series of several different minerals, possess property of opaque with vitreous luster and are available in deep black color with micro flower cut, Heart Shape. 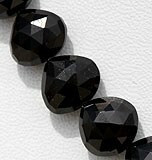 Black Tourmaline Gemstone is a series of several different minerals, possess property of opaque with vitreous luster and are available in deep black color with micro cut, Faceted Rondelle. 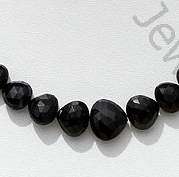 Black Tourmaline Gemstone is a series of several different minerals, possess property of opaque with vitreous luster and are available in deep black color with micro cut, Heart Shape. 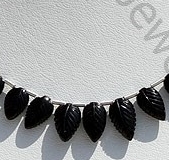 Black Tourmaline Gemstone is a series of several different minerals, possess property of opaque with vitreous luster and are available in deep black color with carved, Leaf Shape.